Books exist in time and place and our experience of them is affected by the specific time and place in which we encounter them. 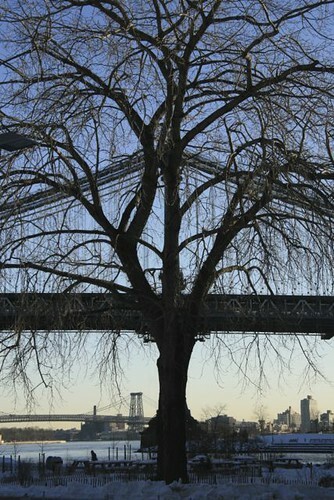 Sometimes an uplifting or inspiring book can change the path of a life that has wandered onto a wrong course. Sometimes a book, discovered early on, can form part of the foundation of who we are. Or, discovered late, can offer insight into the journey we have taken to date. Sometimes a book is just a book. But not The Hobbit. Not for me. In January, 2013, I pulled out my forty-year old copy in anticipation of seeing the recently released Peter Jackson film. It is a substantial book, heavy, not only with its inherent mass, but for the weight of associations, the sediment of time. The book itself is a special hard-cover edition published in 1973, leather bound, in a slipcase, the booty of new love from that era. The book, while victim to some internal binding cracks (aren’t we all?) is still in decent shape, unlike that long-vanquished relationship. Not surprising. I had read the story six times and been there and back again with this particular volume five. The Hobbit had first come to my attention in 1965 or ’66. I was then a high school underclassman, and my eyes were drawn to it at a school book fair. That was probably the ideal age, for me anyway, to gain an introduction to Tolkien. Not too far along into adolescence and an appreciation of the reality of the world to have completely tarnished my capacity for child-like wonder. That is what one must bring to a reading of this book, openness and innocence. Tolkien was a step sidewise for me, as I was a fan of the science fiction of that and prior eras. It was also, of course, a gateway drug for the grander addiction of LOTR, still my favorite read of all time. One might think that looking at this book again with old, weary fresh eyes might lend new insight. After all, I have read literally thousands of books since, and have picked up at least a little critical capacity. And yes, there are things I notice now that perhaps skipped past back then. Of course that begs a specification of which back then one considers. While I first read the book as a high-schooler, I read it again when I was gifted with this beautiful volume, in my twenties. That makes two readings. But there would be more. I well recall reading the book aloud while sitting in a chair by my son’s bed. And yes, each of the major characters was delivered with a distinct voice. I went as deep as I could for Gandalf. I vaguely recall giving the dwarves a Scottish burr. Bilbo was definitely a tenor. My Gollum was remarkably like the sound of the one created by Andy Serkisssssss. (patting self on back). Of course, my son was not the last to arrive at the gathering. Some years later there was a daughter, and more bedside theater. It was a bit more of a struggle then. Life was rather hectic. Nerves were often frayed. Sleep was in short supply. And there were far too many times when my eyes closed before those of my little gingersnap. But reading it that fourth time, one couldn’t help but notice the absence of any significant females. Who might my little girl relate to here? It is certainly possible for folks to identify with characters of another gender, but the stark absence of representatives of the female persuasion did stand out. Somehow I managed to keep my eyes open long enough to get through the volume. But the party was not yet complete. There would be one more arrival, and one more opportunity to sit on or near a daughter’s bed and read aloud, sometimes to an upturned, eager face, sometimes to a riot of ringlets as she settled. My capacity for consciousness remained an issue. By then, my voice had also suffered a bit with the years, the reward for too many cigarettes, too much yelling, too much ballpark whistling, and the usual demise of age, so it took a fair bit more effort and strain than reading it aloud had done previously. I am pretty certain I made it through that third time aloud. Truthfully, I am not 100% certain that I did. You probably know the story, or the broad strokes anyway. 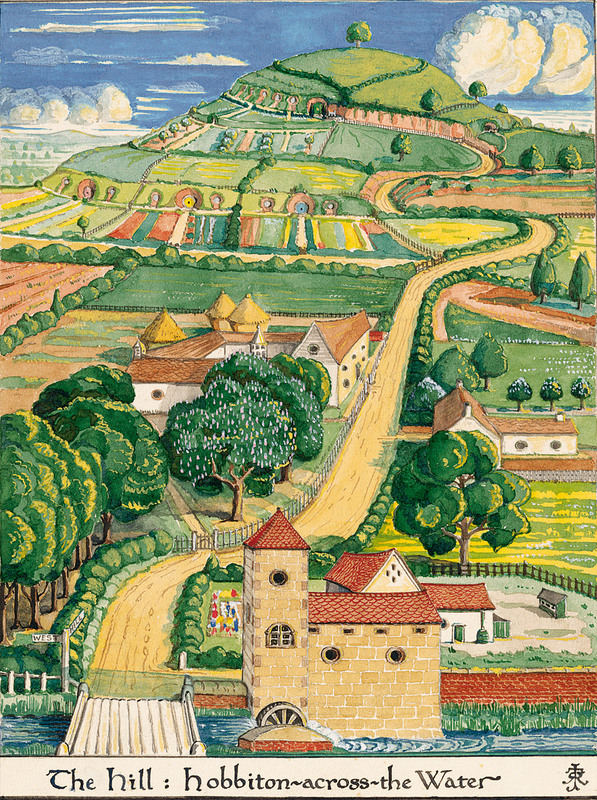 In the quiet rural village of Hobbiton Across the Water, in a land called Middle Earth, an unpresupposing everyman, Bilbo Baggins, lives a quiet existence. He has a smidgen of wanderlust in him, the genetic gift of ancestors on the Took branch of his family tree, but he is mostly content to enjoy hearty meals and a good pipe. One day, Gandalf, a lordly, father-figure wizard Bilbo has known for many years, comes a-calling and Bilbo’s life is upended. Gandalf is helping a group of dwarves who are on a quest. Led by Thorin Oakenshield, a dwarf king, they aim to return to their home, inside the Lonely Mountain, somehow rid the place of Smaug, the dragon who has taken up residence, and regain the land and incredible treasure that is rightfully theirs. Gandalf has recommended that Bilbo accompany the group, as a burglar. Bilbo, of course, has never burgled a thing in his life, and is horrified by the prospect. But, heeding his Tookish side, Bilbo joins the dwarves and the adventure is on. One need not go far to see this as a journey of self-discovery, as Bilbo finds that there is more to him than even he realized. This raises one question for me. How did Gandalf know that Bilbo would be the right hobbit for the job? Bilbo faces many challenges and I betray no secrets for any who have not just arrived on this planet by reporting that Bilbo’s dragons, real and symbolic, are ultimately slain and he returns home a new, and somewhat notorious hobbit. Bilbo serves well as the everyman, someone who is quite modest about his capacities, but who rises to meet the challenges that present, acting in spite of his fear and not in the absence of it. He is someone we can easily care and root for. IMHO, Bilbo is not the most interesting character in Tolkien’s world. Arguably there is a lot more going on with Gollum, an erstwhile hobbit riven by the internal conflict of love and hate, corrupted, but not without a salvageable soul. While he is given considerably more ink in the LOTR story, it is in The Hobbit that we meet him for the first time. He is the single least YA element in this classic yarn, one of the things that elevates this book from the field and makes it a classic. 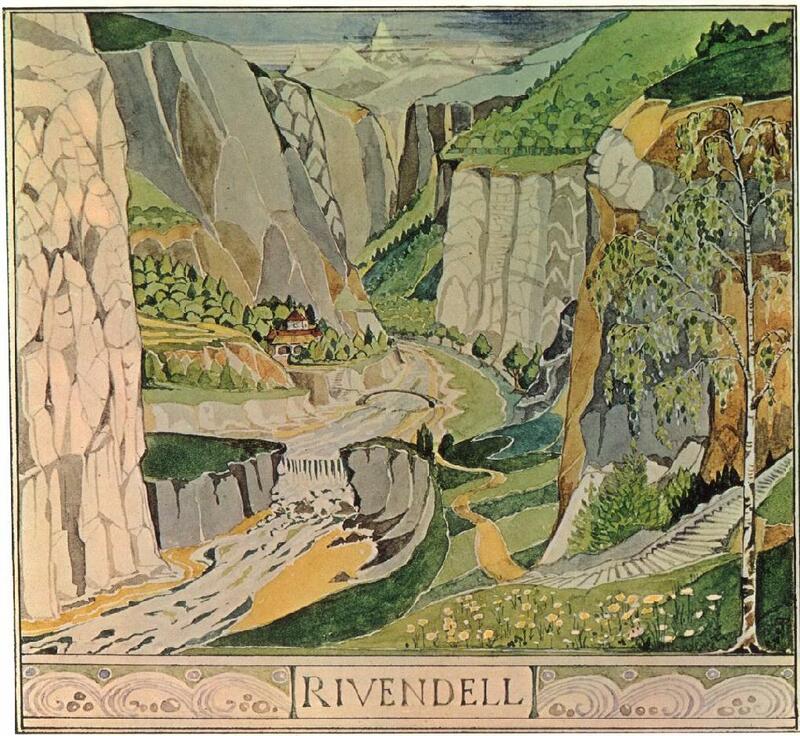 The Hobbit was written before Tolkien’s ambitious Lord of the Rings. While there are many references to classic lore, the bottom line is that this is a YA book. It is easy to read, and to read aloud, (something that is not the case with LOTR. I know.) and is clearly intended for readers far younger than I am today. It remains a fun read, even on the sixth (or so, I may have dipped in again somewhere along the line) time through. Were I reading it today for the first time, I would probably give it four stars. But as, for me, it bears the weighty treasure of memory, I must keep it at five. If you are reading this for the first time as an adult, or an antique, the impact is likely to be different for you. If you are a younger sort, of the adolescent or pre-adolescent persuasion, particularly if you are a boy, it might become an invaluable part of your life. Maybe one day you can sit by your child’s or grandchild’s bedside and be the person who reads these words to them for the first time, “In a hole in the ground there lived a hobbit” and begin the adventure again. To see the glowing young eyes as the tale unfolds is nothing less than absolutely precious. PS – I would check out the review offered by GR pal Ted. 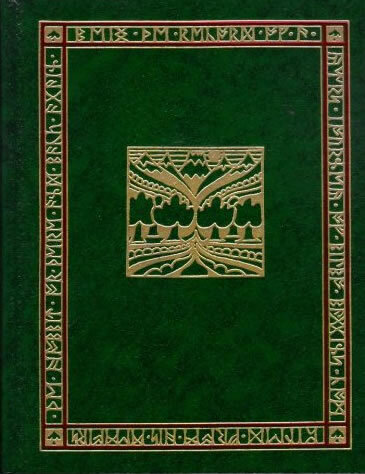 He includes in his review outstanding, informative and very entertaining excerpts and comments re info on The Hobbit from JRRT’s son Christopher.